Romantic and modern -When they created this charming and irresistible furniture series our designers were inspired by the charm of southern lands and their carefree lifestyle. Ornamental patterns, original wood grain and the colours of the beautifully designed fronts give this dresser its charm. 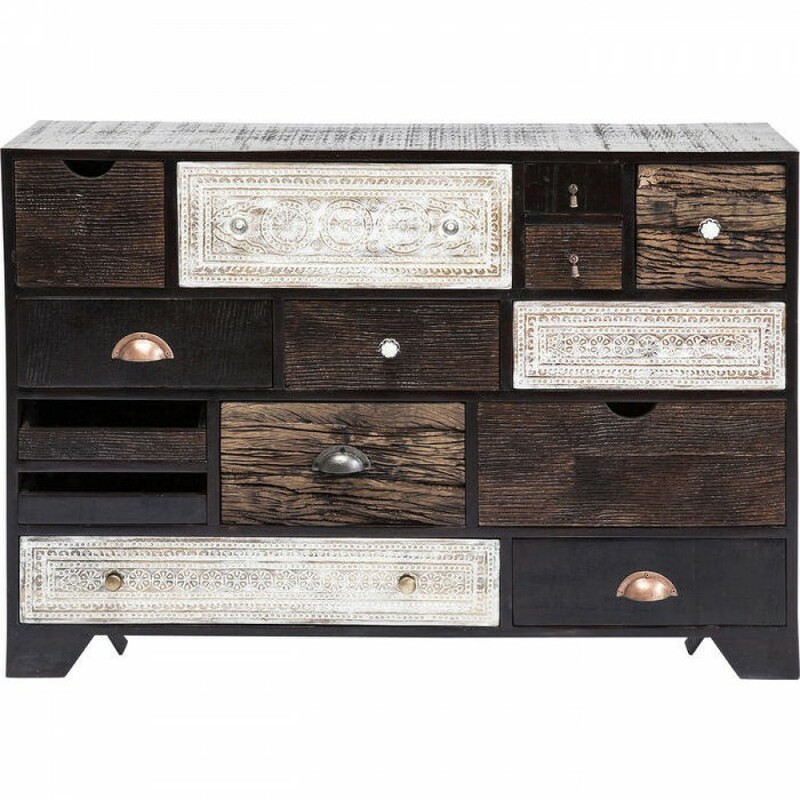 Its frame consists of mango wood painted in a dark shade and featuring clean, modern lines which provide a harmonious contrast for the 14 carved and individually designed drawers. In addition to the individual design the various sizes and positioning of the doors create a fascinating and harmonious look, which is enhanced by the reduced and subtle warm colours. 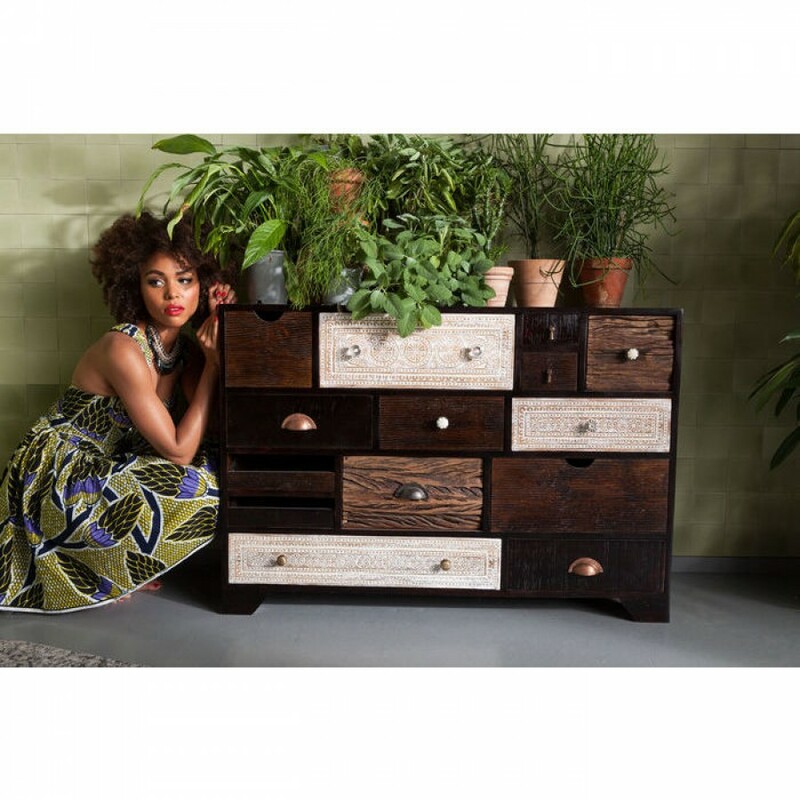 Furniture in the Finca series brings that holiday feeling into the home. Every piece is individual and unique.